Let the TS 185ER’s power and well-proven, versatility work for you. 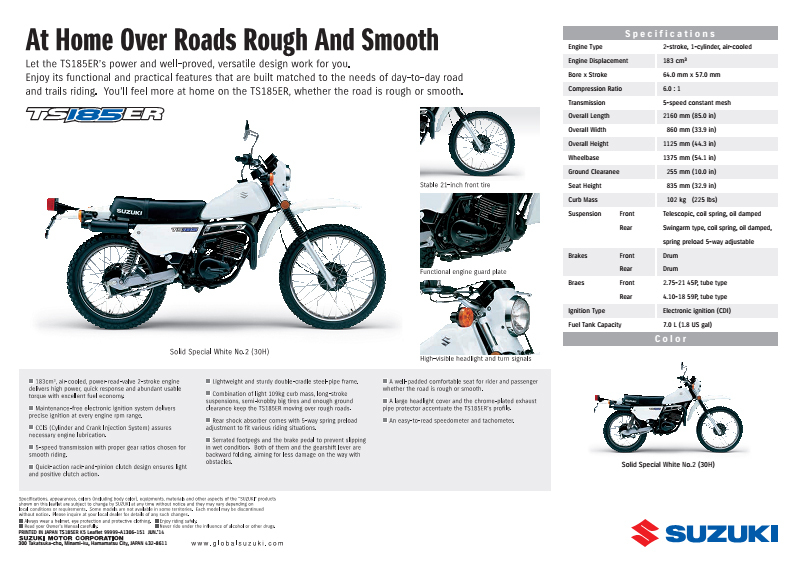 Enjoy it’s functional and Practical Features that are built matched to the needs of day-to-day roads and trails riding. 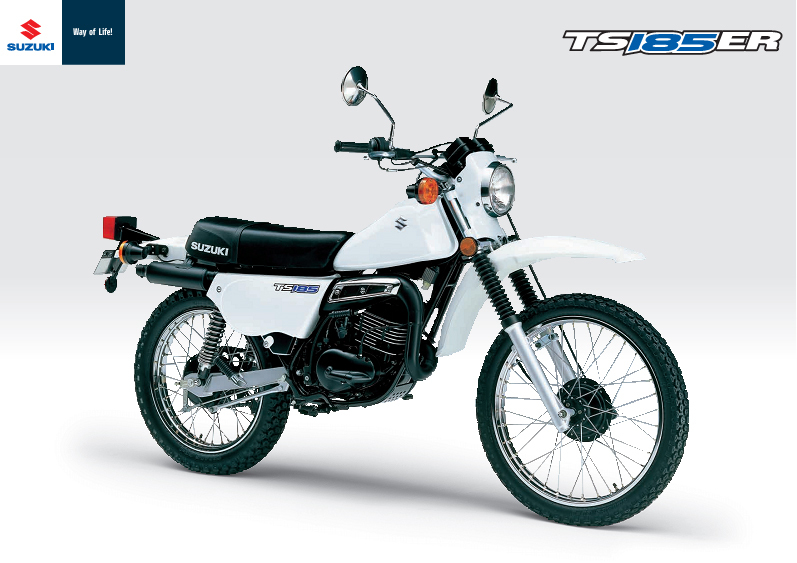 You’ll feel more at home on the TS 185ER, weather the road is rough or smooth. Lightweight and sturdy double cradle steel pipe frames. 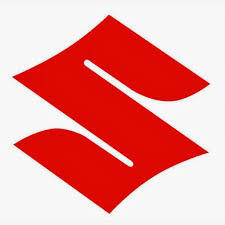 5 speed transmission with proper gear ratios chosen for smooth riding. An easy to read speedometer and tachometer . Cylinder and Crack Ignition System (CCIS) assures necessary engine lubrication . 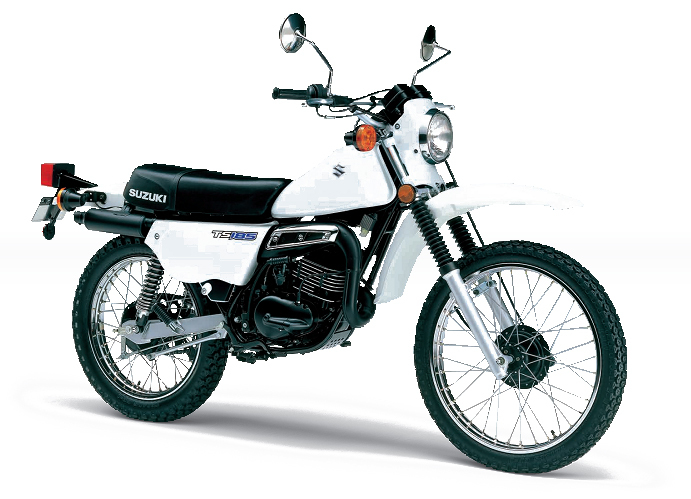 The TS185ER Suzuki has a primary kicksian feature, which allows the rider to start the bike in any gear simply by pulling in the clutch and giving the starter lever a lick. If sliding corners is your thing, you will love TS 185ER. Responsive is its middle name. It will jump, leap, climb, slide, stop, or meander peacefully at the rider's will. And it'll do it without playing tricks on the rider.